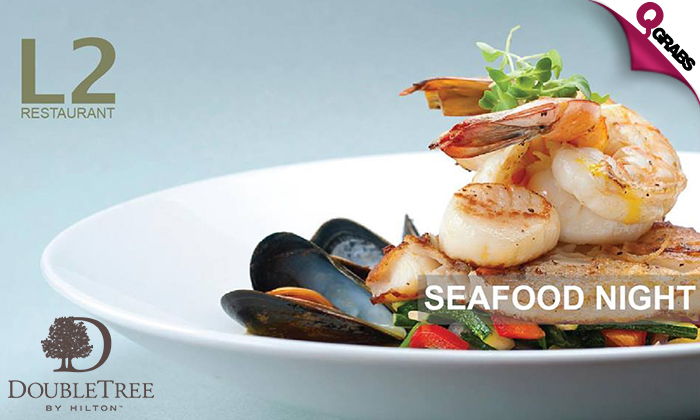 Devour an all-you-can-eat delicious seafood Thursday Dinner Buffet at the FACT dining award winner L2 restaurant at DoubleTree by Hilton. 50% off Thursday night done right! DoubleTree by Hilton Hotel Doha Old Town is a 5-star international hotel in Old Salata offers an ideal base for business and leisure travelers. Enjoy spacious guest rooms and suites and a unique buffet restaurant. The hotel is situated just 12 km from Hamad International Airport and offers easy access to the Corniche, the banking district, the Museum of Islamic Art and the Emiri Diwan Palace.